Oprah arriving at the 2015 Academy Awards on Sunday, February 22, 2015 in Hollywood, California. The media mogul stunned in a buff Vera Wang gown. 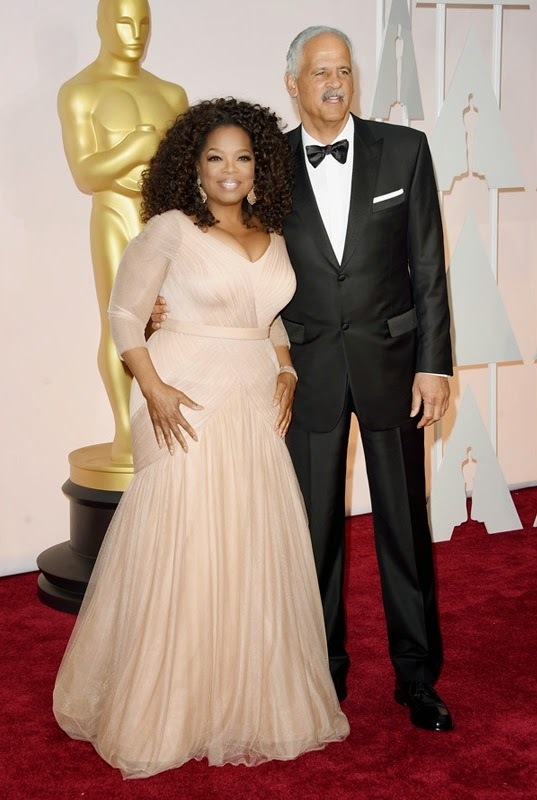 I feel like Oprah has worn different variations of this gown by different designers. The cut definitely works with her shape and this colour is gorgeous. She's still with Stedman Graham?